Our children develop in a world where they are tested measured and expected to do more, consume more and achieve more. They are still children and as a parent its normal to try and shelter them from the worst of these demands which can be placed on them by their peers, school and the media. Children naturally take on these societal values and aspirations comparing themselves to others and deciding if they measure up – 'Am I good enough at sports', 'Am I thin enough' or 'popular enough' etc. This is reality and there are pros and cons to how modern life has accelerated. Most of the time with a nurturing family environment problems that our children face get sorted out fairly quickly. However sometimes our children can get stuck in a difficulty or the problem starts to limit them in some way. This can be extremely upsetting for them and because they may not have the cognitive insight to understand or explain what is going on it can start to have a negative impact on how they behave but also how they feel about themselves. This stress can also cause them to withdraw from previous enjoyed activities or from friends. This can result in a range of physical symptoms such as tummy-ache, headaches or a change to their behaviour. How Can Hypnotherapy Help Your Child? Hypnotherapy is extremely effective at helping with stress and anxiety, fears, and phobias, sleep issues, loss and bereavement, divorce and a variety of school issues. Also dealing with bad habits and boosting self esteem and confidence. Research shows that a 'optimistic child' is one that is likely to be happier and healthy now and in the future. Clinical Hypnotherapy is gentle and safe for children and young people. Hypnotherapy is not stage hypnotism which although amusing has no place in the therapy room. 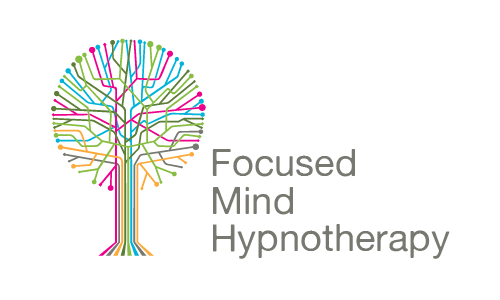 Hypnotherapy is respectful and only focused on benefiting the client. Hypnosis is not sleep, it is a form of relaxation. When we are in this relaxed state we are in complete control and aware of our surroundings. This state with the help of a fully trained, qualified and registered therapist allows the child/teenager to release unhelpful negative thought patterns about themselves or their world and form new healthy ones. Also teaching them new strategies to empower them now and for the future. Many Children prefer this approach to counselling or psychotherapy as the child doesn’t need to explain their behaviour or relive their anxiety. Being Solution Focused means that the sessions are centred on the child imagining their preferred future and exploring the steps that can be taken to get there. Acknowledging all their special qualities and strengths that they can use to reach that goal. When our bodies relax comfortably our minds start to relax too. Our minds can become calm like in a daydreaming state - this is a light hypnotic state. Children naturally experience this state many times a day; when they are drifting off to sleep or when they wake up, absorbed in thought or imaginary play, reading their favourite book or watching the television. The great thing about children is they have an innate ability to use metaphor to process difficulties and imagination is key to working with the mind and facilitating change. Stories, visualisations, imaginative games all help the unconscious mind to take on a change of perspective and process difficulties. To book your initial consultation to discuss how Hypnotherapy can help your child, call Rachel on 07882 659 582.